The 7 Clans of the Anishinaabe simply educates and informs people how the Anishinaabe, or First People, delegated jobs and ran the tribal community peacefully and smoothly. The clans were based on certain animals that each tribal member were born into. 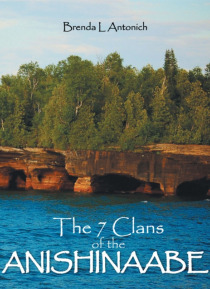 The 7 Clans childrens book takes an easy to understand approach to how the Ojibwe culture blended individual differences and strengths to live harm… oniously and peacefully with each other.